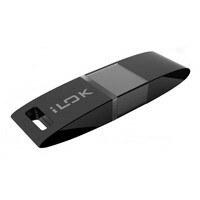 The 2nd Generation iLok is smaller than the original iLok. Its shiny sleek and black with a bright blue LED band that lights up when it is plugged in to a working USB port. Its stronger more durable and typically holds over 5 times the licenses.